“I was chasing after what I thought I wanted in a marriage relationship. It wasn’t until my wife and kids left without me on our ‘family’ vacation, that I realized I was wrong and not where I was supposed to be.” What if it seemed like you had it all: a career both stable and fulfilling, a home built by your own hands, cars that make a statement of success and strength, a wife by your side, and two bright energetic children. Then one day a ‘friend’ suggested that you could have, and should have, more. The slippery slope began with a doubt. In his eyes the other men looked like they had it so much better than he did. Why not him? The path led him into misconceptions about marriage, of what he expected out of it. He began to question, ‘is it enough?’ He followed a trail of extra-marital affairs seeking out what he felt he deserved in marriage. During their separation, his wife visited Apex with a friend. Days later she spoke with Tom about the church. They agreed that Tom would move out on his own and they would try “dating” again and attend Apex together. They participated in FamilyLife’s Weekend to Remember, which Tom claims regenerated their marriage so much they met together with elders from Apex and joined a house church. Over time their house church disbanded. Apex attendance began to wane and their marriage slowly drifted apart. Although in January of 2010 Tom turned his life and heart over to Christ, his personal and professional troubles were far from over. One evening he was on a call with his Sergeant and another officer when a subject resisted. The officers were forced to take him down to the ground and use pepper spray. After the incident, Tom was brought up on allegations he physically assaulted the defenseless man and suspended from work. Although video footage of the situation cleared Tom of all charges, the damage to his career had taken its toll. For eighteen months he was out of work and spiraled into financial difficulty and depression. The marriage bond was strained to the breaking point. The day his wife asked him for a divorce he yelled and slammed his fist on the table. She called his old police department and filed for a protection order against him. Shortly thereafter he lost the dream house he had built and was totally alone. In 2013 he returned to Apex. He was baptized with the encouragement and support of his daughter. He was offered a new job at a local hospital. He found a supportive and edifying new house church where he is studying and growing in his faith and trust in God. He relates to the Apostle Paul’s words in Romans 7 when Paul confesses of his own struggles and inner conflict. Tom likewise understands he still has a lot of work to do, with a lot of things he still does that he knows he needs not to do. Tom’s life up to now is a testimony of the pain and deception of believing a lie. His story and his message cry out as a warning to anyone considering a path without God. Today he is actively seeking God’s healing power in his own life while he eagerly prays for a chance of reconciliation with his wife. 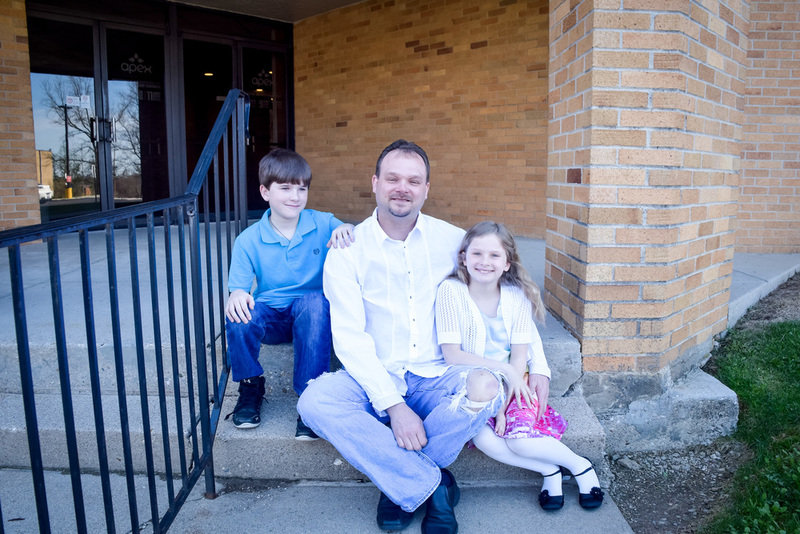 He is an example of a transformed man to his children, Halie and Jordan, who actively participated together in the Operation Christmas Child project. He served as a point person during the recent Christmas Eve service and volunteers in the community as a tutor and coach.